Click on an image below for more detail. 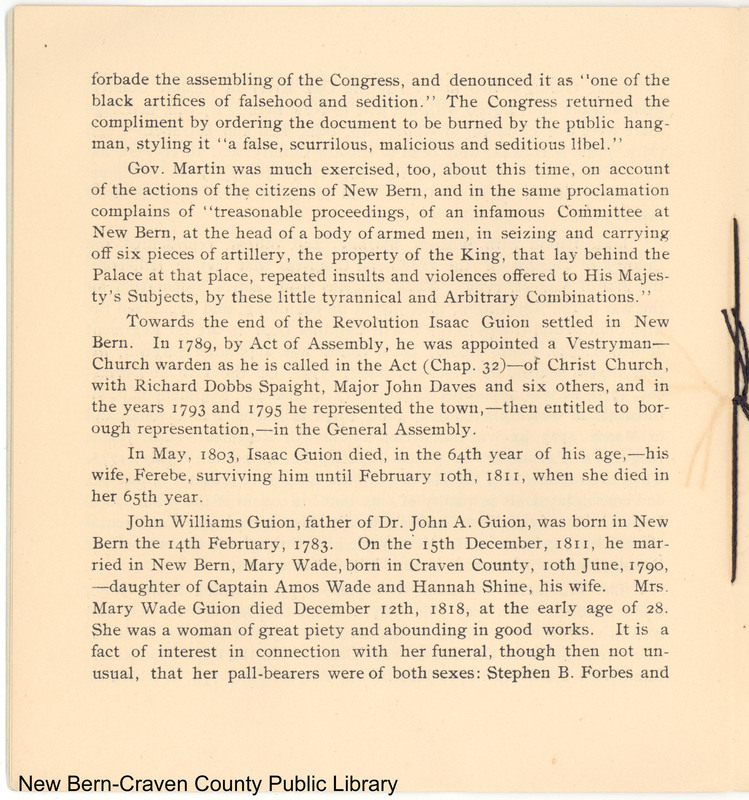 Towards the end of the Revolution Isaac Guion settled in New Bern. In 1789, by Act of Assembly, he was appointed a Vestryman--­Church warden as he is called in the Act (Chap. 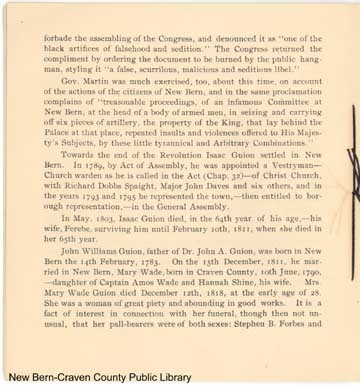 32)--of Christ Church, with Richard Dobbs Spaight, Major John Daves and six others, and in the years 1793 and 1795 he represented the town,--then entitled to borough representation,--in the General Assembly. In May, 1803, Isaac Guion died, in the 64th year of his age,--his wife, Ferebe, surviving him until February l0th, 1811, when she died in her 65th year. Images scanned by John B. Green, III. Text prepared by John B. Green, III and Victor T. Jones, Jr. This page last edited on August 21, 2018.